And there really aren't any strings attached. Just when we thought we were hitting Apple sale fatigue as Cyber Monday rolls along, T-Mobile has dropped what could be the best deal of allRemove non-product link. When you activate a new account with a voice line and a dedicated data line, you’ll score a brand new LTE-enabled iPad or Apple Watch Series 4. The new account needs to be either a T-Mobile One or Essentials voice line, meaning discounted Unlimited 55+ and Military plans aren’t eligible. Existing customers are not eligible, even if they add a new line. The device must be purchased using T-Mobile’s 24-month equipment installment plan, so if you cancel your service before November 2020, you’ll owe the remainder of your balance. You’re responsible for paying the sales tax on the new device at the time of purchase. Otherwise, the deal is as good as it sounds. 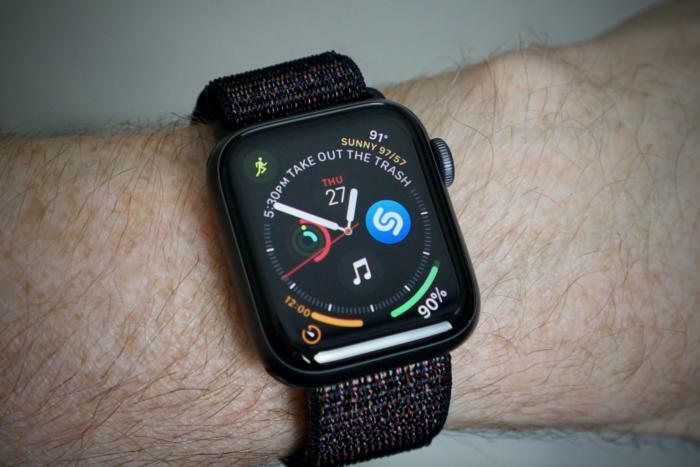 T-Mobile will hand you a brand new aluminum 40mm or 44mm Apple Watch Series 4, 38mm or 42mm aluminum Apple Watch Series 3, or a 32GB sixth-gen iPad worth up to $530. Or, you can apply the maximum amount to a stainless steel Apple Watch or 128GB iPad and just pay the difference. That’s a pretty sweet deal. What’s more, you can combine this offer with any other T-Mobile promotion, except for two: the BOGO Apple Watch offer and the ongoing Carrier Freedom offer, which reimburses you up to $650 for any remaining balance on your previous wireless contract. If you're a savvy shopper, you can get a new iPhone XRRemove non-product link and an Apple Watch Series 4 for basically nothing. T-Mobile is also running a holiday iPhone deal that can net you up to $750 in credits when you trade in an old iPhone and open a second line.